We often notice that when looking at Instagram and other social media outlets that some seemingly unassuming TV news personalities have 60,000+ Instagram followers when others who are arguably more popular have less than 10,000. It’s not hard to figure out why that is? TV news people are the people that sell fake followers love. Many in TV news are under pressure from their bosses to up their social media game. Some just need their ego stoked. Either way, they often turn to buying fake followers to make themselves look more important. 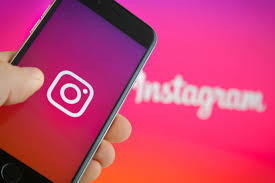 Instagram announced it is booting fake followers, likes, and comments generated by applications tailored to make accounts appear more popular than they actually are. "Recently, we've seen accounts use third-party apps to artificially grow their audience," Instagram said in a blog post. "Starting today, we will begin removing inauthentic likes, follows and comments from accounts that use third-party apps to boost their popularity." We haven’t posted to Instagram in months or to our personal Facebook in years. We last posted to our FTVLive page on Facebook in May. The only social media site that we post to regularly is our Twitter. And even then it is mostly just links back to this website. And, we only follow 83 lucky people on Twitter. We like social media, except for Facebook which is awful, we just don’t use it much. We’re on the internet all day, we don’t need be hanging out on social media as well. But hey, that’s just us.